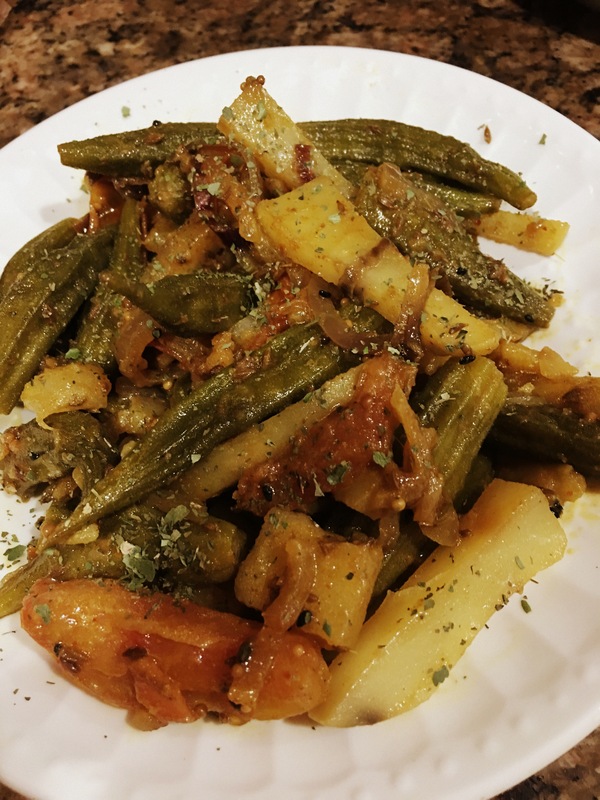 Okra and Potato, a perfect combination of vegetables that go great together. 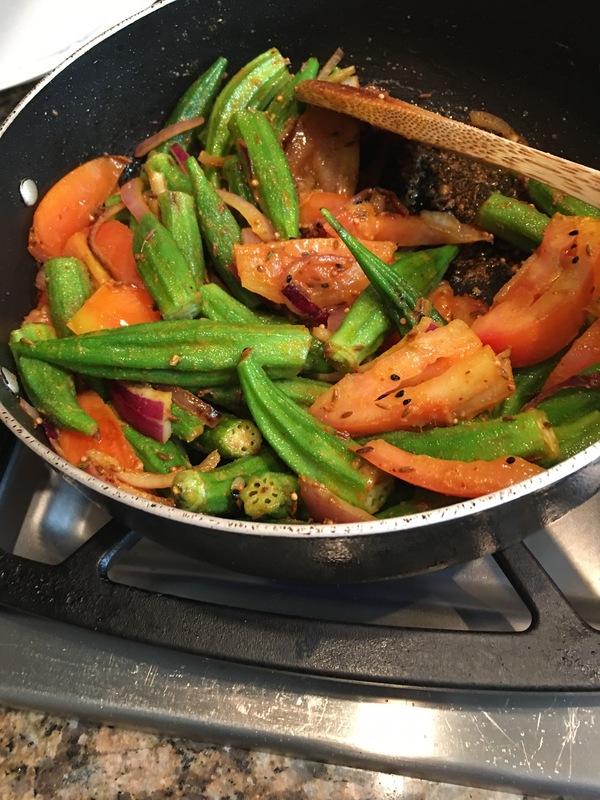 When added to a tomato-onion stir-fried base the flavor of okra is greatly enhanced. Okra is a vegetable with a lot of health benefits. It is high in folate, vitamin A , C, and B complex. It is said that if you just make slits in the okra and soak it in water overnight then drink that water next morning, it helps to bring down your sugar levels. I have heard it has worked for some. Well, either ways it is a nutritious and tasty. I make this dish at least once a week. This by itself if you roll it in warm tortilla is a delicious wrap and a quick meal. 2 Slice onion, potatoes, and tomatoes into long pieces then separate. 3 In large frying pan, heat oil on medium heat. Add onions and potatoes and stir until lightly browned. Add salt, cumin, chili powder, turmeric, and then the Okra pieces, plus the hot pepper. Cook covered for 10 mins . Energy Chocolate Fig truffles- Post work out bite! !